Charles Chaplin was born in 1889 in East Street, Lambeth, and his early years were spent, often in acute poverty, in this square mile to the South and East of the present London Film Museum. This section evokes the life of the poor in late Victorian Lambeth, and the escape provided by the light, colour and fun of the music halls, in which his parents were performers. At the age of 10 the young Chaplin found work in a juvenile music hall troupe, and his future was decided. As a boy actor he made his mark as the comic page-boy in Sherlock Holmes, and even played the role in the West End. But his greatest success came in the music hall, and at 20 he was already a star of the Karno comedy companies. This section sets out to recall the atmosphere and the stars of the music halls, with memorabilia relating to Chaplin’s own stage career. Between 1910 and 1913 Chaplin twice toured the American vaudeville circuits as a star of the Karno company, and was greatly excited by his encounter with the New World. At the end of 1913 he yielded to an offer from the Keystone Comedy Company, ruled by Mack Sennett and arrived in Hollywood. At first disoriented by the new medium, he learned rapidly, and within weeks was directing his own films. The exhibition evokes the buccaneering atmosphere of early Hollywood, its primitive studios, and its rapid evolution towards an international industry. Searching for a character for his second film, Chaplin put together a costume from elements found in the Keystone wardrobe shed. The result – the Tramp – achieved instant popularity and within a year or two was known and loved across the world. Chaplin’s creation remains to this day the screen’s iconic and most universally recognised character. When Chaplin finally took a rest and visited Europe in 1921, he was astonished to find himself a world celebrity, mobbed by crowds everywhere he went, and sought out by the great men of the day. Increasingly he used his comedy to comment on the fundamental problems of humanity. Modern Times is a broad-ranging social critique; and in The Great Dictator, having finally abandoned his character of the Tramp, he pillories Adolf Hitler, fascinated by the physical resemblance between the best-loved man in the world and the most hated. In the paranoia of the Cold War years, Chaplin became an object of suspicion to the Communist-obsessed American political right. His anti-war statements in Monsieur Verdoux and his friendships with liberal intellectuals led to increasingly virulent attacks and accusations of Communist sympathies. In 1952 he came to England for the premiere of his last American film, Limelight (a recollection of the London music halls of his youth) never permanently to return to the United States. His final years were spent contentedly in Switzerland, surrounded by his growing family and still planning films, two of which, A King In New York and A Countess from Hong Kong, were made in Britain. 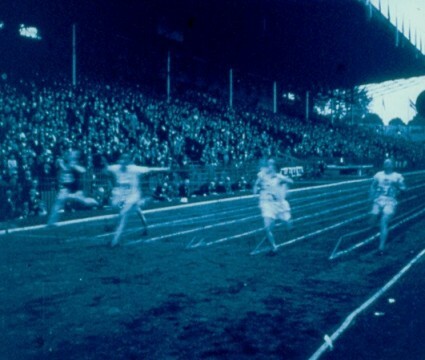 This is good news, and the exhibition will also become part of the permanent museum display. But what’s the London Film Museum, eh? Last time I looked there wasn’t one. The Museum of the Moving Image (MOMI) sadly closed in 1999, and in 2008 an odd and seemingly short-term attraction with the ungainly title of The Movieum appeared on the South Bank as part of the popular attractions based in the former County Hall complex. It didn’t look like it would last long or offer much. Bu the Movieum has turned out to have more staying power and ambition towards being a genuine commemoration and repository for moving image heritage than one might have supposed. 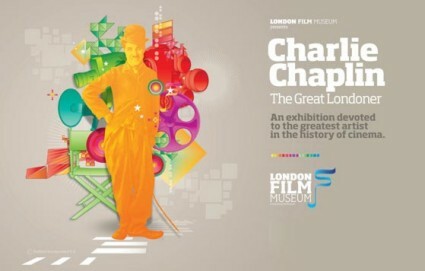 It has been rebranded as the London Film Museum (strictly speaking, the London Film Museum now incorporates the Movieum), at the same location, and the first expression of its new status is the Chaplin exhibition. And, as some will know, Leslie Hardcastle was one of the presiding geniuses behind MOMI, so to have his approval of the new venture is significant indeed. We shall watch these developments with interest. The Charlie Chaplin – The Great Londoner Exhibition is a permanent exhibition here at the London Film Museum. We are undergoing a series of changes here, which as you appreciate can take some time, but with Leslie Hardcastle now on our Advisory Committee, along with Rick Senat, David Robinson, Ian Christie and Linda Ayton, we are in good hands. We shall be updating the website with news and features soon. Thanks for the correction – I’ll amend the most accordingly. You have some good hands there indeed. Hope it all goes well.